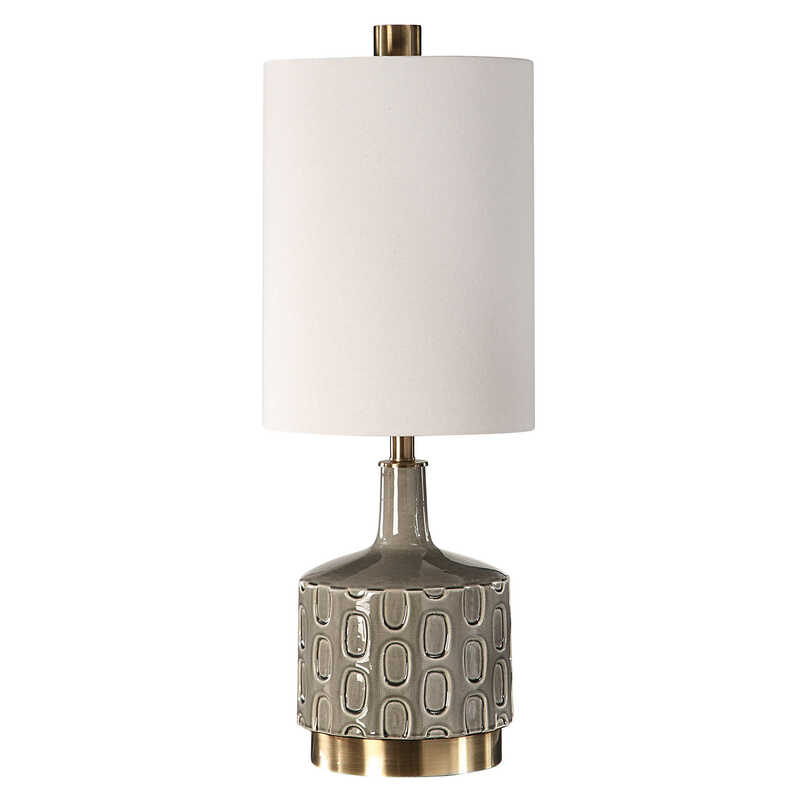 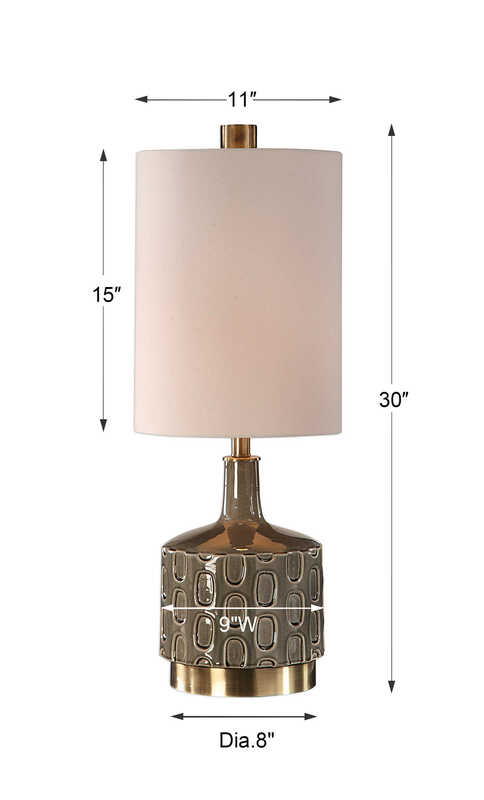 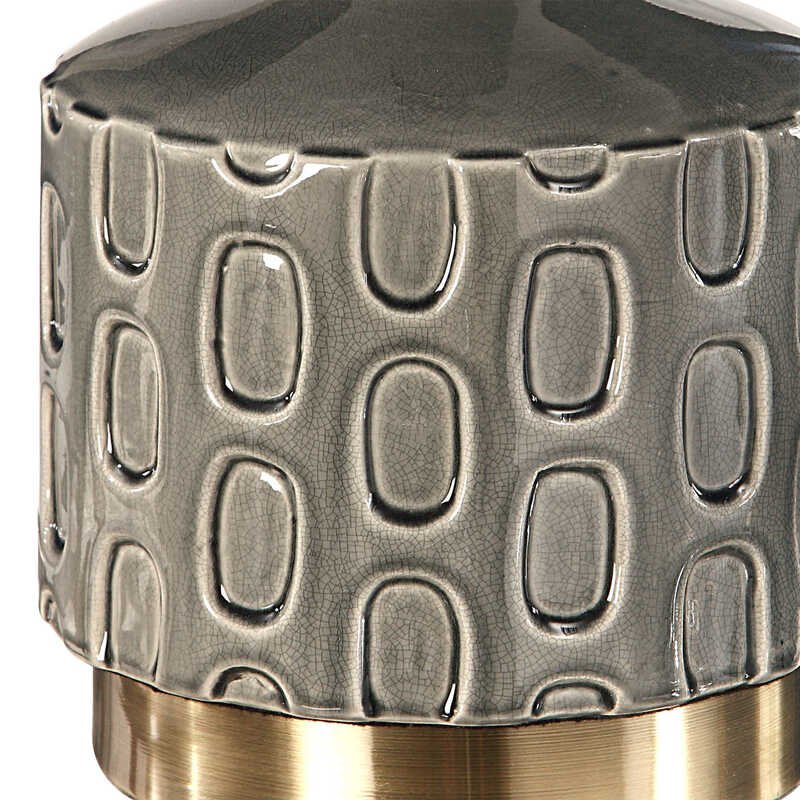 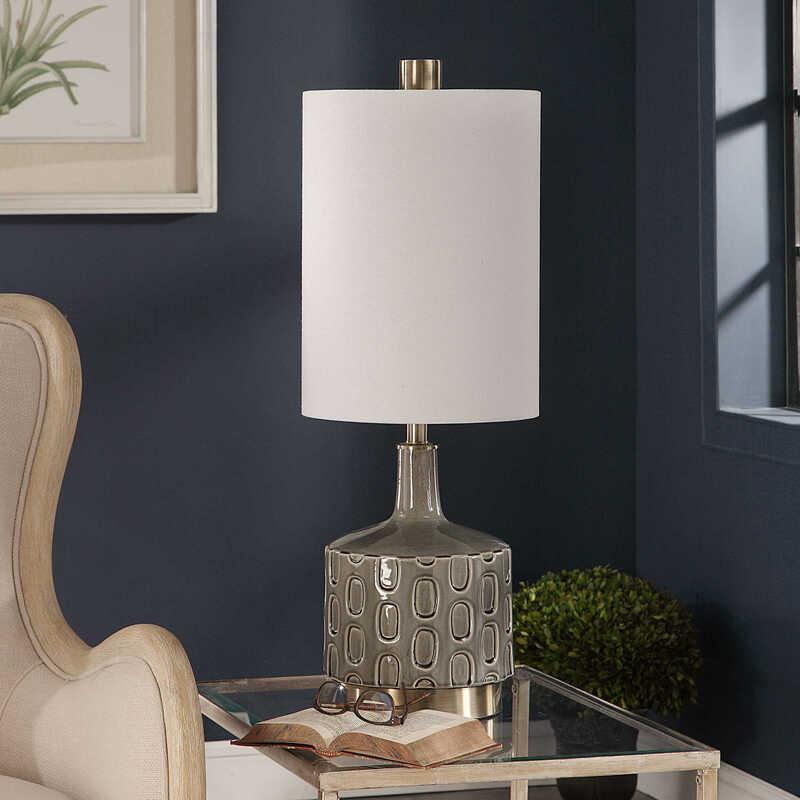 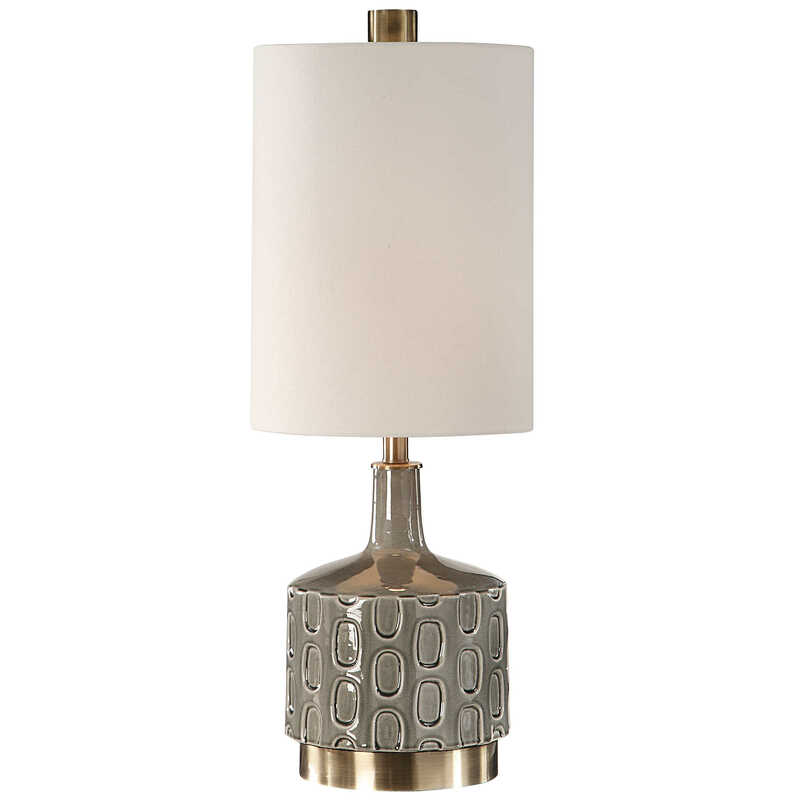 Finished in a crackled blue gray glaze, this ceramic table lamp echoes mid-century and contemporary styles. 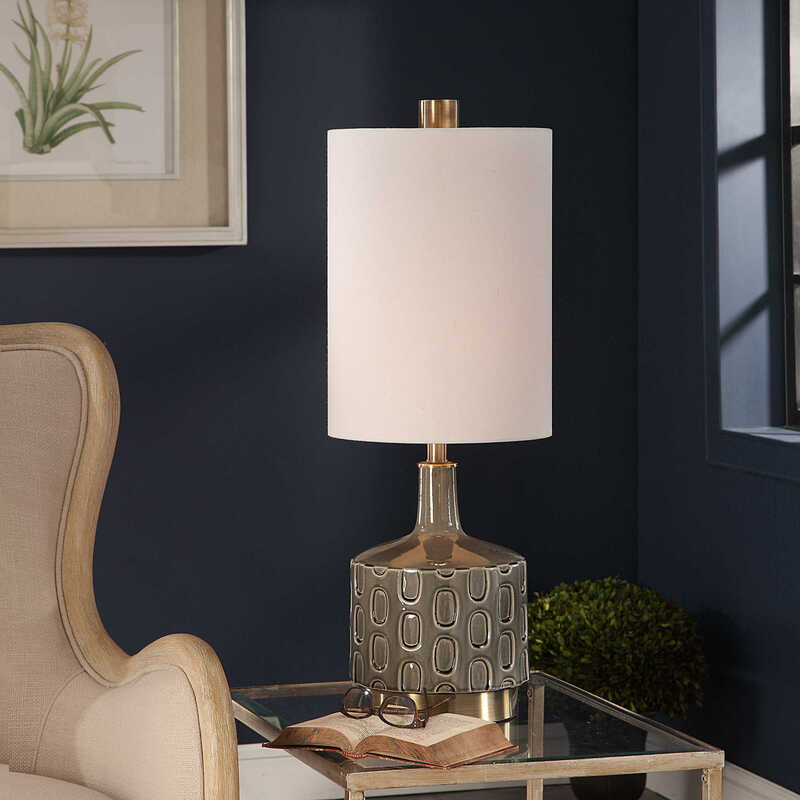 The base of this piece showcases an embossed repeating geometric design, accented with antique brass plated details. 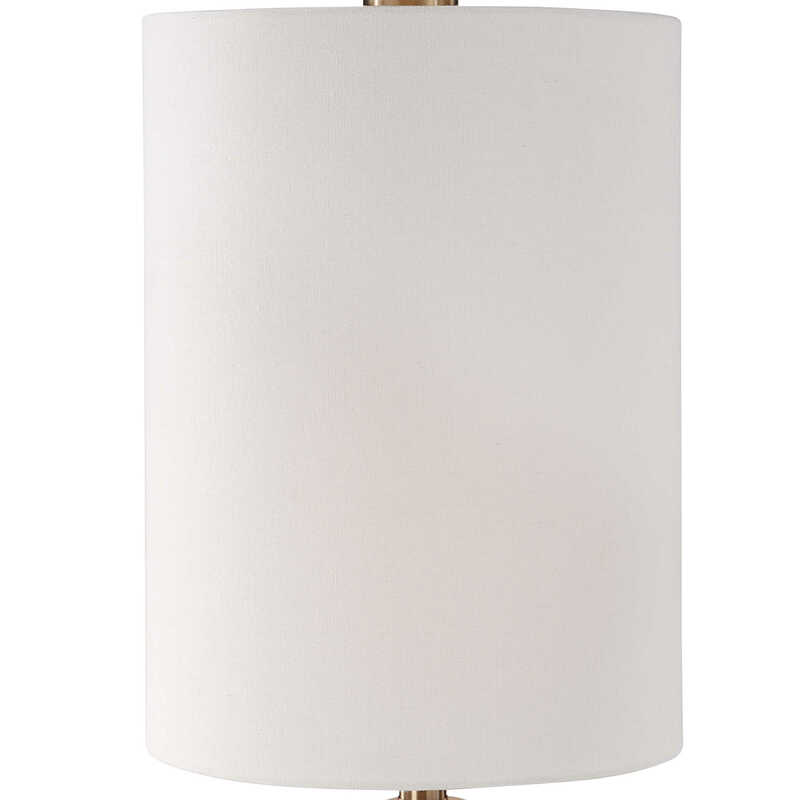 The round hardback shade is a white linen fabric with natural slubbing.